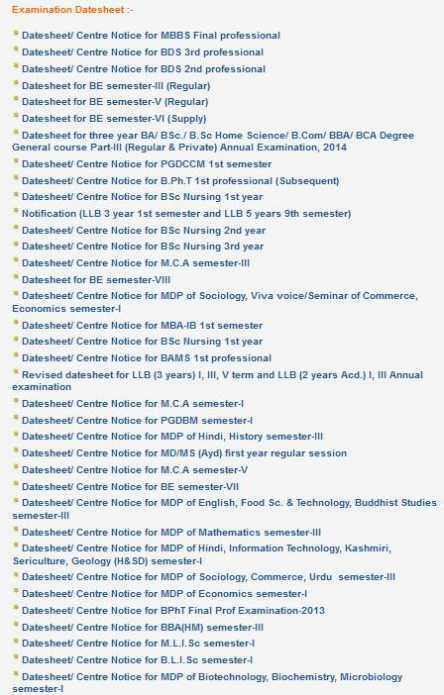 How I can the JBT exam date sheet of Jammu University,can you tell me? Go to the official website of University of Jammu. Then click to the student tab and in this select the examination tab. Then a new page will open. In this page click to Date sheets. Then a new page will open,in this page all the date sheets are given to you. From this page you can get the JBT exam date sheet. Last edited by Aakashd; January 30th, 2014 at 11:07 AM. 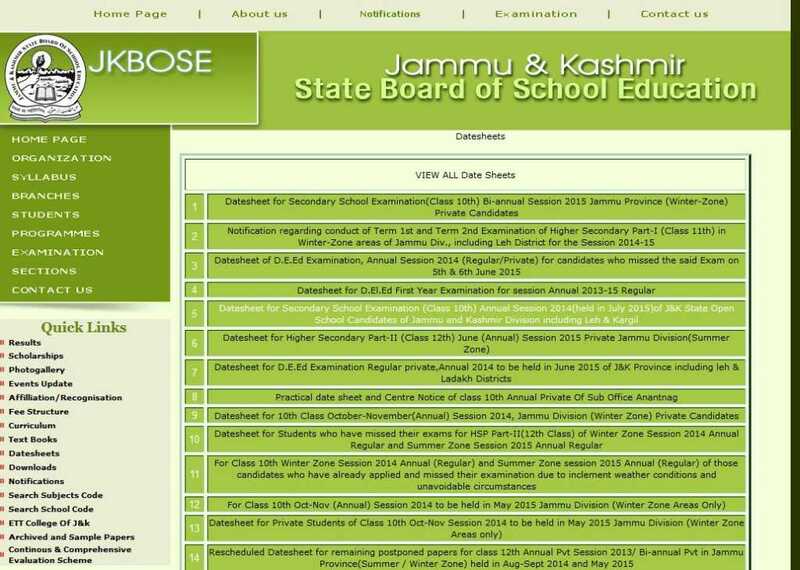 hello sir can you tell me J&K State Board of School Education has published on not date sheet of JBT program?? Can you tell me how can I get its information? ?